How can you make the DiSC styles even more memorable? People need to spend time with a concept and have experiences with it to make it memorable. 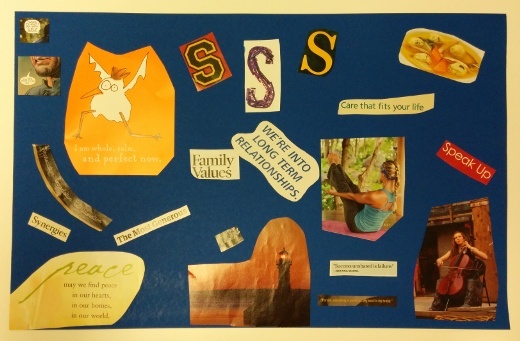 Creating collages in one way to give someone one more experience with the DiSC styles. 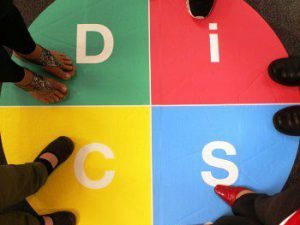 It’s an activity that draws on what they’ve had presented to them in their DiSC reports. 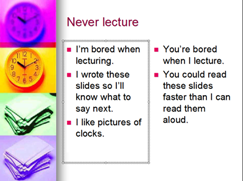 It can be more memorable than words on a page or slide because it’s something learners make themselves. Allow at least an hour for creating the posters and debriefing. Encourage collaboration and discussion. 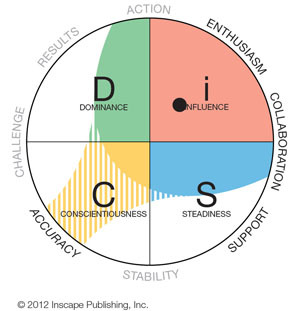 You can expect people to see an image and immediately call out something like “Oh, this is perfect for a D!” Or they will ask for opinions: “Should ‘speak up’ be for the D because they like to-the-point communication, or for the i because they love talking, or should it be for the S because they need to be better at speaking up?” You can step in to provide clarification about DiSC styles if needed. 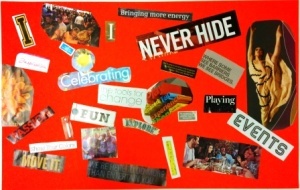 Several types of collages can be created. Ask participants to create one based on your teaching objectives. 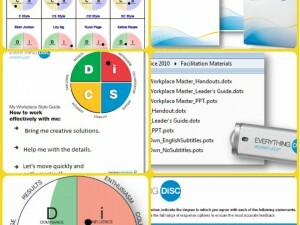 This type of activity gives the facilitator plenty of opportunities to further explain DiSC priorities. Before beginning the exercise you can prime participants by asking them to make silent predictions about how posters will look and how people will work on them. 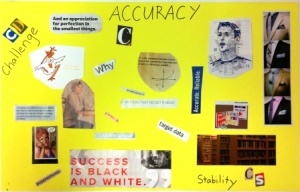 Ask each collage creator to explain his or her poster. Allow others to ask questions. This is a very easy activity to run as long as you have enough supplies: images, glue sticks, glue dots, scissors, stickers, markers, etc. If you’re concerned about time, you can provide a selection of images, words, stickers, etc. instead of entire magazines. 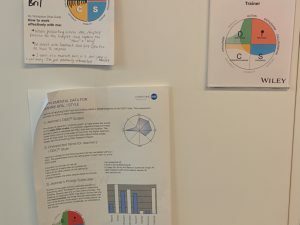 Keeping posters up in a conference or break room can keep DiSC in people’s minds as they interact. Be observant as people work. Be there for questions. Remind people that there are eight priorities reflected in the four styles. If a team is missing a style, it can be helpful to have them work together to create a poster about that missing style. Then ask questions such as these: Which of those traits would they like to see developed on their team? Who tends to move into that empty style space? How does missing that style hinder their work? Let us know if you’ve done an exercise like this. We’d love to share photos of posters on our DiSC Pinterest pages.